Wicca in the old English means “wise”. If you want to know more about the old / new Wicca religion, then this is the book for you. If you are interested in what Wicca religion really preach and you are not slaves of unfounded prejudices, buy this book and get the insight in how much beauty there is in worshiping the nature and believing in its power. At the present time when people are increasingly disconnected from nature and other people, Wicca beliefs provide a true refreshment. Find out why more than 50 million Americans and Europeans are attracted to Wicca religion. If you want to discover the origins and history of Wicca, its basic principles and how they are implemented in practice, read this book where you have all the information in one place. Learn what is the Sabbath, how many of them are honored and how to celebrate it. Also, in this book you will find what you need for Wicca rituals, as well as some of the Wicca magic spells. So, let the Craft Journy begins! 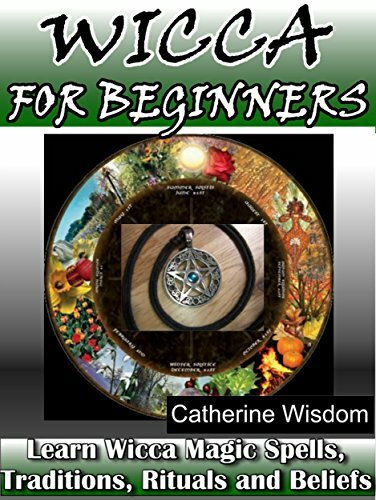 Download your copy of “Wicca for beginners “ by scrolling up and clicking “Buy Now With 1-Click” button.